There’s something satisfying about tweaking to perfection a typeface based on the particular style of lettering applied to a particular kind of paper by a particular human hand. One day, in pursuit of this curious sense of satisfaction, I sat down with a porous pad of lined note paper and printed out the alphabet with a ballpoint pen. I found particularly interesting the bulbous ends of the strokes where the ink soaked in. I couldn’t help myself: I drew out the rest of the character set, scanned, hand-traced, andas with all 3IP font designsmanipulated every glyph to an obsessive degree. 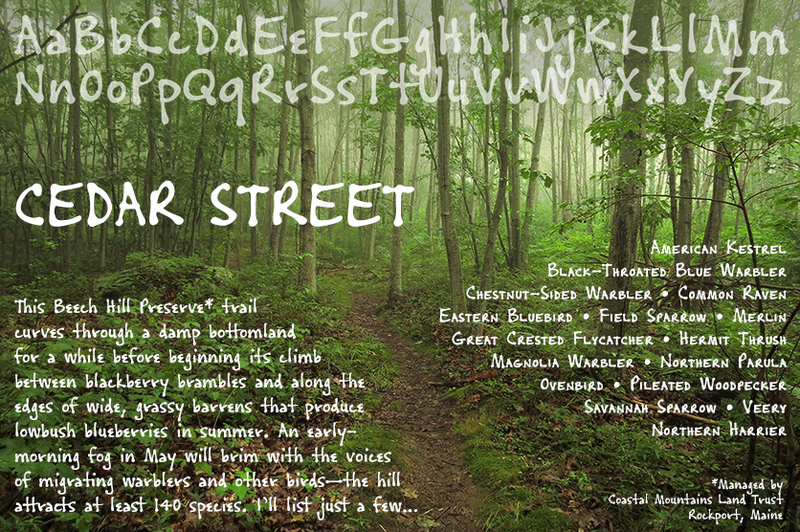 Named it Cedar Street, after a favorite address of mine. Has a single medium weight with a thorough character set. The OpenType release adds true small caps, numerous ligatures, and Central/Eastern European alphabetsnearly 800 glyphs in all. US$39.